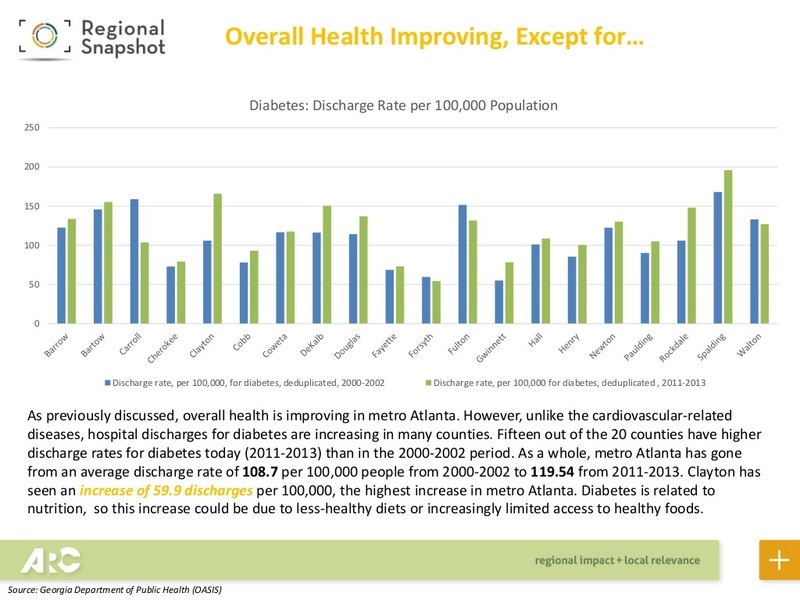 Metro Atlanta is getting healthier, but people living in poverty are still struggling to lead healthy lives. Years of Potential Life Lost, or YPLL, may sound like a morbid metric of measurement. 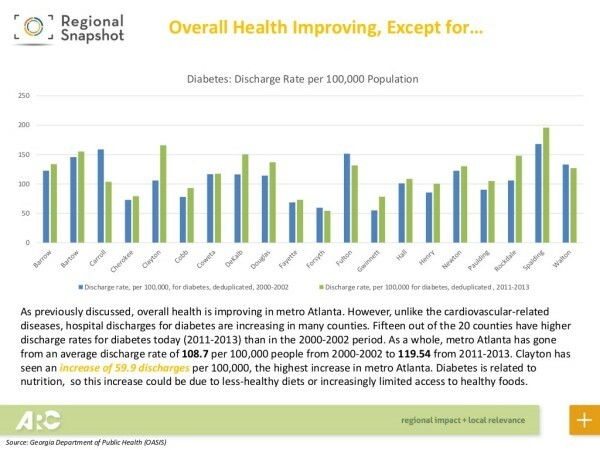 But that’s how the Atlanta Regional Commission (ARC) determined Metro Atlantans are getting healthier in its “Regional Snapshot.” ARC published its public health analysis June 1 based on statistics provided by the Georgia Department of Public Health. 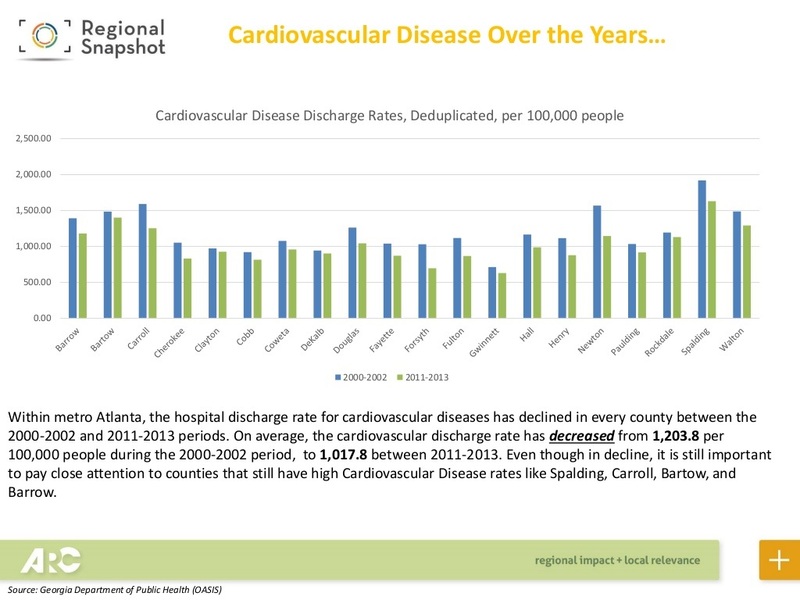 Metro Atlanta residents’ cardiovascular health is improving, according to the ARC study. However, low birthweight births and diabetes diagnoses have had a creeping increase inside and outside the perimeter. In light of recent health data, the Centers for Disease Control has granted $400,000 to the partnership of Georgia State’s school of public health and Morehouse College’s school of medicine to combat unhealthy tendencies and increase healthy food options in southwest Atlanta. They’re calling it the Healthy Corner Store Initiative, according to a Georgia State news release. The ARC study addressed growing poverty concerns within the metro areas of South DeKalb, South Fulton, North Clayton, Bartow, Hall and Carroll counties. Such concerns have been directly associated with a higher count of premature deaths in the region. The two-school coalition, led by Principal Investigator Dr. Rodney Lyn of Georgia State, aims to quell unhealthy behavior by incentivising southwest Atlanta businesses to offer healthier eats and advocating for the repair and maintenance of walkable infrastructure. Lyn also said these proposals should appeal to many southwest Atlanta restaurants and retailers. Project leaders will take notes from the success of Philadelphia’s similar corner store rehab project. 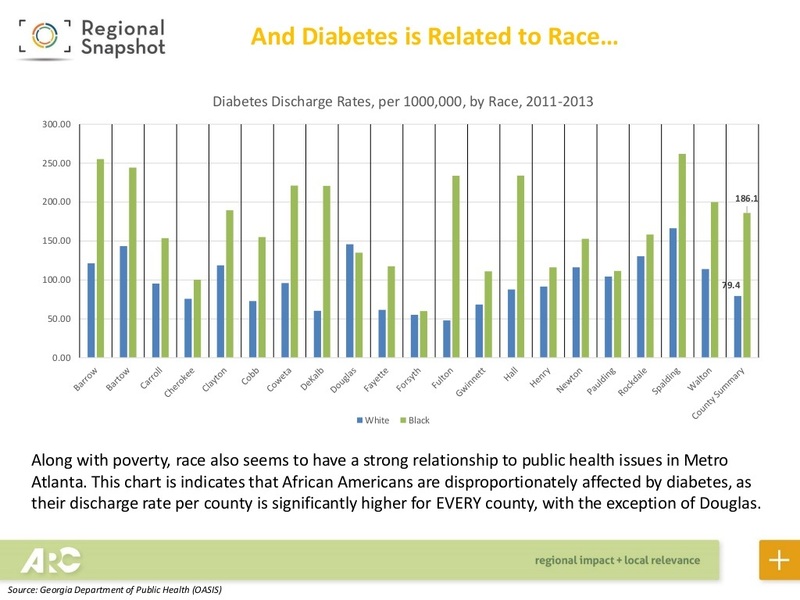 The medical discharge rate of diabetes is on the rise, mostly in areas of poverty. 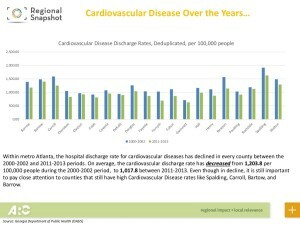 For example, Clayton witnessed the highest increase in discharge rate of any other county (59.9 discharge increase per 100,000 heads). 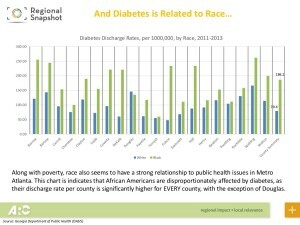 According to ARC’s ethnicity demographics, black Atlantans are more likely to develop diabetes due to their prominence amidst those poverty-stricken areas. This racial health disparity is one major concern that Lyn and his team plans to address. Lyn said the project is in good hands and his team is fully cooperating with the nearby Neighborhood Planning Units, citizen advisory councils, to assess community concerns. “Two institutions that have a track record of [improving] urban health and [reducing] health disparities are coming together to focus on the local community,” Lyn said. Step one is reaching out on social media to determine the needs of the community, according to Lyn. “We’re working closely with leadership of NPUs in those [airport] areas,” he said.